Everybody, everybody, look at your calendar! See what day it is? It’s the 8nd of November! Sorry, the 8st of November! That’s 11/8. You know what else is eleven-eight? 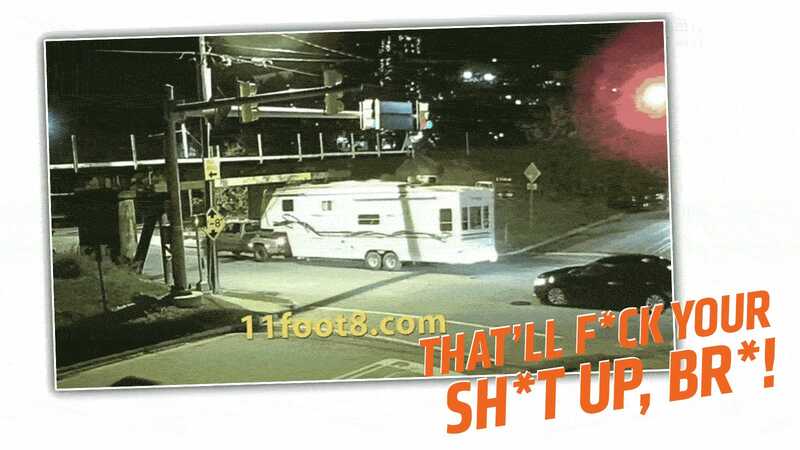 The infamous 11 foot, 8 inch bridge in Durham, NC, and it’s recently claimed another victim: this big camping trailer’s rooftop A/C unit, and this time there’s some good screaming involved.